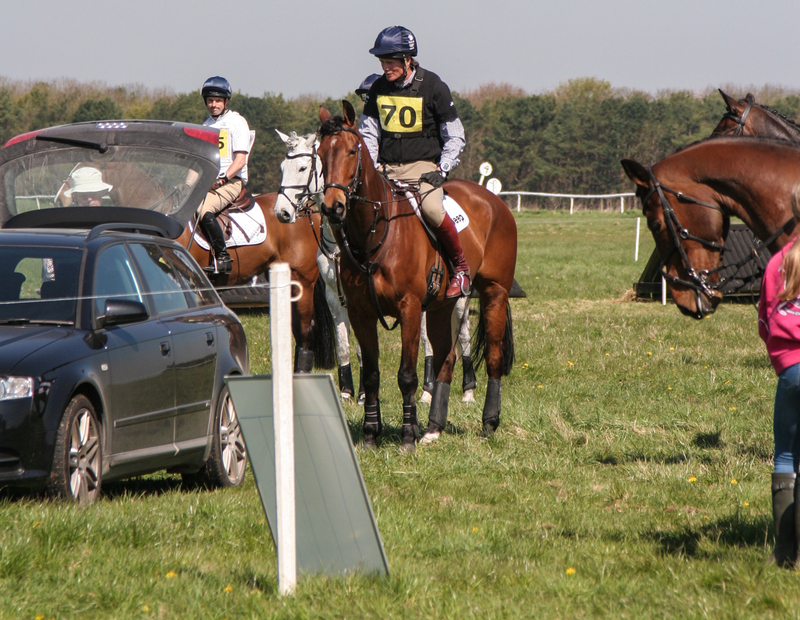 We had a happy day at Larkhill yesterday, everything had dried up so much and it was lovely and sunny too. A few of my seven year olds are now coming towards the end of their novice careers and they happily had good outings. Yes I Can nearly notched up his second win in a week, he was very unlucky to roll a pole and even with that he still finished 6th. Seventh Heaven had a good run too, he is improving all the time. He did a much better dressage at 30. Show jumped clear and gave me an excellent ride cross country inside the time to also finish 6th. 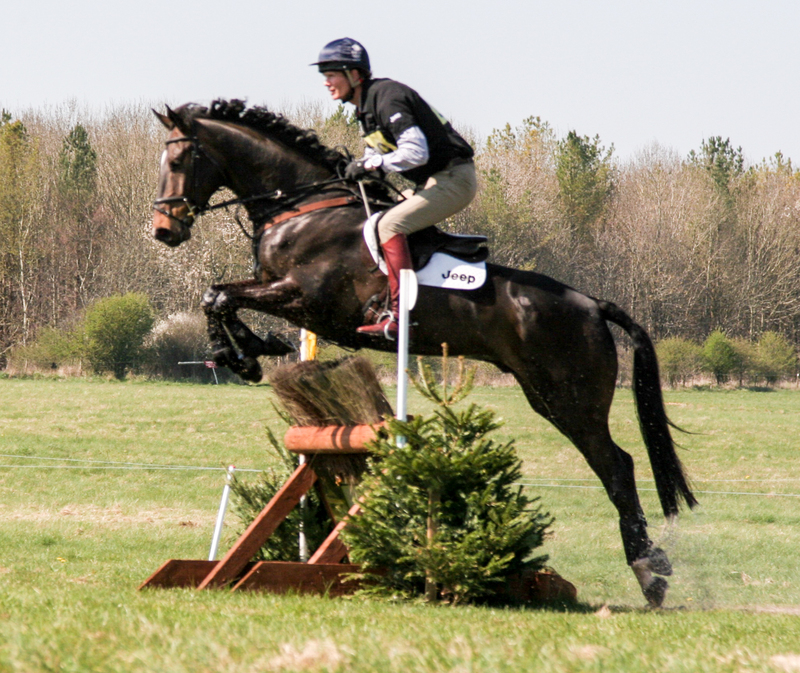 Georgisaurous was finishing his very busy start to the season with his 3rd novice outing. He is really coming on and relaxing and I am very happy with where he is at. He did a 31 dressage and went well but the mark was a bit disappointing. He then jumped well but with one down, and flew around the cross country, again very confidently but he felt less in a hurry. He has done what I like to do with all of my youngsters which is to get them out plenty in the beginning so the horse is settled in the job as well as learning lots. They then have a little rest, and his next run won't be until Bicton friday week. I rounded off the day with an excellent couple of winners; Shannondale Percy had a good win, again he was first in at 8 o'clock and got my first mark of the day which was 31. He then did a lovely confident double clear to finish on 31 and that was good enough to take the honours. The judging was not very generous in his section and I always hate marks of 30 or 31 because they are about 70% which means fairly good. Nothing that merits a 5 or 6 but equally nothing merits an 8 either, so I always feel it is a bit of a 'non mark'. But he was first on and it was early. The Graduate was having his second run of the year and felt terrific, winning his section on his dressage score very excitedly at twenty seven. He was the best he has gone on the flat, and I was very happy with how he is going. He then jumped a double clear for good measure, making it all feel like pony club and he is certainly ready for an imminent Intermediate. Andrew also had his two; Daddy's Quest did a lovely dressage of 25 to be in second, she rolled a pole show jumping which was just one of those things, but jumped a super round, on cross country she was very unlucky to lose her line at the corner and end up with 20. Andarilho had an encouraging day with a 32 dressage - not his best test but not bad, he rolled a pole show jumping and was excellent cross country, giving Andrew a super feel, it is all early days but very happily going the right way. It was excellent that lots of owners were there; Carol and Pierro with Andarilho, Jenny and Tom had come to watch Seventh Heaven, and the Glens were there to watch Georgisaurous. Gill was with us again to watch Daddy's Quest, and my Mother was there to watch Yes, so it was a great turnout and happily they all went well. The cross country had changed a fair bit and was very inviting, and once again it was excellent not to have to hare around to do the time. 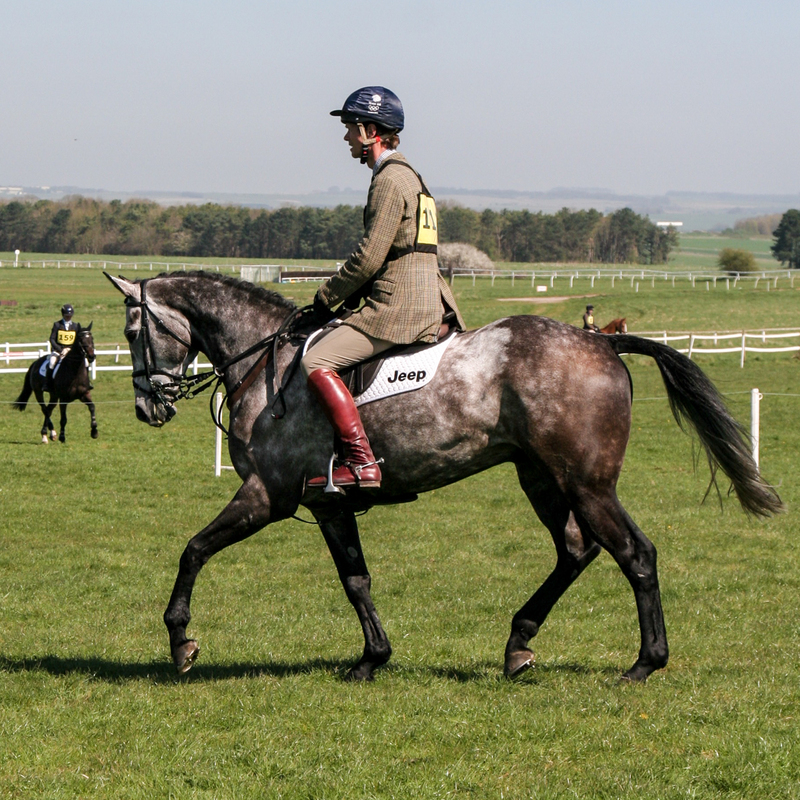 I do however always find there are quite a few dodgy distances to tackle at Larkhill, and you do have to, from time to time, take a good pull to put in an extra stride. However it's very educational and on lovely ground, and they all had a good day.